Through July 4, 2018, U.S. veterans and up to three guests may enjoy free admission to SeaWorld Orlando and Busch Gardens Tampa Bay as well as other SeaWorld Parks & Entertainment properties across the U.S. This new offer joins the ongoing Waves of Honor program that offers complimentary admission to any U.S. active duty military, activated or drilling reservist, or National Guardsman once per year, for the military personnel and as many as three direct dependents. Veterans must redeem their complimentary single-day ticket(s) online at www.WavesofHonor.com, and the free tickets are available online only (not available at the front gate for each park). WHO: U.S. military veterans and retirees who have honorably served, and up to three guests. WHERE: The free admission offer is available at SeaWorld Orlando, SeaWorld San Antonio, SeaWorld San Diego, Busch Gardens Tampa Bay and Busch Gardens Williamsburg. 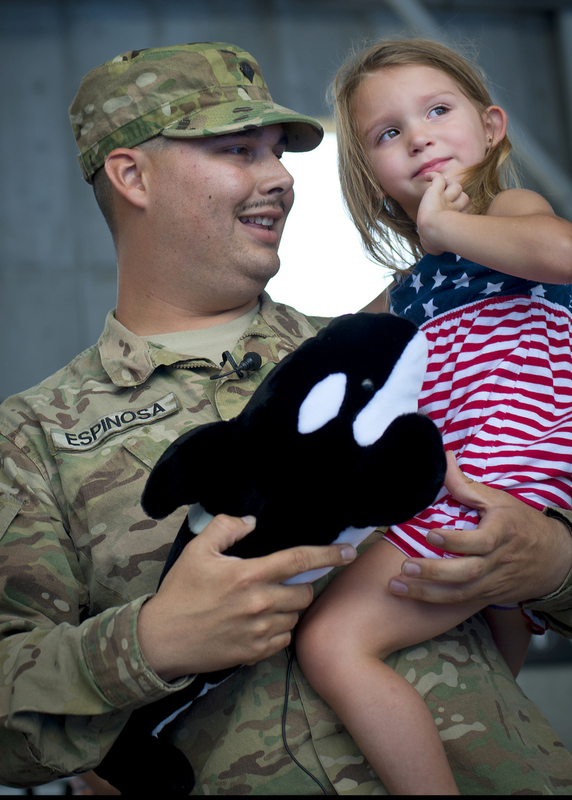 WHY: SeaWorld Parks and Entertainment provides several military ticketing offers via www.WavesofHonor.com year-round in appreciation of U.S. military and veterans’ bravery and incredibly important work. HOW: Veterans must redeem their complimentary single-day ticket(s) online at www.WavesofHonor.com, and the free tickets are available online only (not available at the front gate for each park). Active Military and Veterans can always receive discounted admission tickets through MWR and ITT offices on U.S. military bases as well as www.WavesofHonor.com. These offers are available year-round. Each park may have various discounted admission products throughout the year that are also available online at www.WavesofHonor.com. For the latest on SeaWorld Orlando, Busch Gardens Tampa Bay, and other theme parks, attractions, dining venues and more across the region, be sure to follow Touring Central Florida on twitter @TourCentralFL, @androckb, & @Emmet_TCF, and give our facebook page a like.